A summary of California Landlord Tenant Laws based on state law statutes as they apply to residential lease agreements executed between landlords and tenants. Notice of Default: Lessors of single-family homes and multifamily properties of four units or less, who have received a notice of default for the rental property that has not been rescinded, must disclose this fact to potential renters before they sign a lease. The notice must be in English or in Spanish, Chinese, Tagalog, Vietnamese, or Korean (if the lease was negotiated in one of these languages), and must follow the language specified in Cal. Civil Code § 2924.85(d). Landlord-tenant disputes may be heard in small claims court up to $10,000. A late fee can be enforced only if the fee is a reasonable estimate of the amount that the lateness of the payment will cost the landlord, and if specified language is included in the lease. Landlords may charge $25 for the first bounced check and $35 for each additional bounced check. Landlords must give tenants at least 30 days’ notice or 60 days’ notice if the sum of the rent increase and all prior rent increases during the previous 12 months is more than 10% of the lowest rent charged during that time. Landlords may not use a rent increase to retaliate. Tenants may withhold a reasonable amount of rent, relative to the problem. So unless the unit becomes completely uninhabitable, tenants are not entitled to stop paying rent entirely. The landlord must be paid the reasonable value of the rental in its unfit state or deduct rent based on the value of the part of the unit affected by the defect. Some cities may require tenants to make payment directly to a city escrow account. Check with local jurisdictions for specific information. You can’t spend more than one month’s rent. You can’t use the repair and deduct remedy more than twice in any 12-month period. You can’t have caused the problem, and it can’t be something that is your responsibility. A three day unconditional quit notice to vacate or face eviction may be used when assigning or subletting without permission, committing waste or a nuisance or engaging in illegal activity on the premises. A three conditional notice to cure or quit may be used on other lease violations to give tenants a chance to correct whatever problem there may be. Landlords must provide a 24 hour notice of entry, or 48 hours for the initial move-out inspection. Landlords (who are governed by public housing laws) must follow a reporting requirement regarding lease termination of a tenant who was a victim of domestic violence. 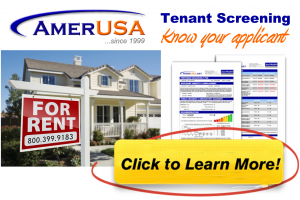 See California Tenant Screening Laws.